Many South Africans are participating in campaigns to support Palestinian hunger strikers by initiating the #DignityStrikeSA hashtag on social media. One of South Africa’s two vice presidents is going on a 24-hour hunger strike today in solidarity with the 1,600 Palestinian prisoners protesting their conditions in Israeli jails. Cyril Ramaphosa – explained the director of the Ahmed Kathrada Foundation, Nishan Balton – is the politician in South Africa most supportive of the prisoners’ demands. “Ramaphosa’s solidarity is, therefore, very important,” explained Balton. 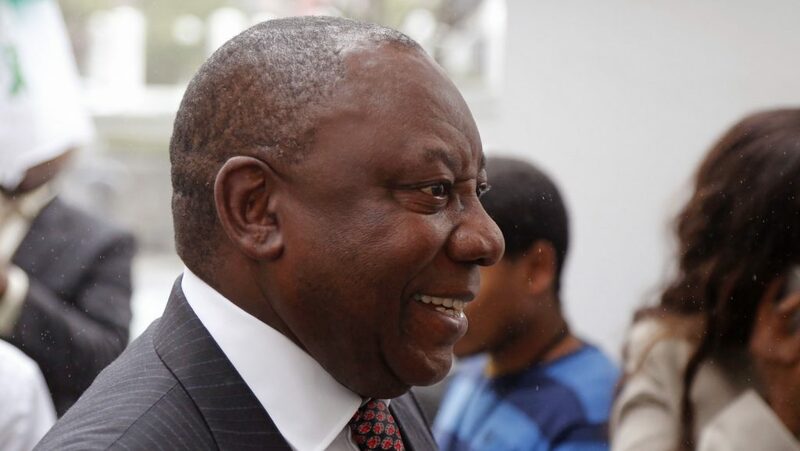 “A number of government officials are expected to take part in the strike with Ramaphosa,” he added. Palestinian prisoners in Israeli jails began their mass hunger strike on 17 April, led by Marwan Barghouti. They are demanding an end to inhumane conditions and administrative detention, under which Palestinians are held with neither charge nor trial for renewable indefinite periods.